Perhaps it is the fact that I was raised in the Arizona desert, craving the forests and verdant landscapes of my fantasies, but I am a bit obsessed with trees and—not surprisingly—now live in the lush Pacific Northwest. In addition to their significance in maintaining a balanced global ecosystem, providing building materials or nourishment, trees also have a long history of inspiring artists. The contemporary artists featured here often intervene in landscapes, drawing attention to our place in the world and the interconnectedness of man and nature. In other projects the tree, pulled from the context of its natural habitat, is used to explore themes of life, death, and rebirth, one’s cultural roots, and the passage of time. Shinji Turner-Yamamoto, in his piece Hanging Garden, has placed an upended dead birch beneath a live tree, roots intertwined and suspended in mid-air. The beauty of the decaying tree and its graceful living counterpart echoes the unexpected beauty of the venue, a deconsecrated and decaying church sanctuary. In keeping with Turner-Yamamoto’s interest in renewal and regeneration, the live tree has since been planted near the chapel and the dead birch was donated to the Art Academy of Cincinnati, where students have created new artworks from the wood. Hanging Garden is just one piece in his Global Tree Project through which, in venues all over the world, he continues to consider the universal cycle of life. Marie-Hélène Richard designs large site-specific installations. In Virage she literally draws with strips of white willow, creating a dynamic sweep through the trees of Lange Voorhout in The Hague. Placed in the setting of a formal boulevard her fluid willow branches animate the space … as if the sound of a gust of wind has been made visible. De Groene Kathedraal (The Green Cathedral), made from 178 Italian poplars and based on the architectural plan of Reims Notre Dame, was conceived and planted between 1978 and 1986 by Dutch artist Marinus Boezem. Based on a building type that according to the artist, historically signified a town center, The Green Cathedral was intentionally—and ironically—placed at the outskirts of a new development in southern Holland. The poplars were chosen not only for their column-like profile but also for their life span. Quick-growing, the trees have a relatively short life cycle before they start to decay. Once this process is complete, the negative shape of the cathedral—mirrored in a nearby clearing in the woods—will be all that’s left. The hyper-realistic imaginary trees in Jorge Mayet’s work are created from electrical wire, papier maché, paint, and fabric. Exiled from Cuba and living in Spain, Mayet explores his roots from afar, addressing the themes of loss, separation, recovery, the foundations of cultural identity, and the universality of our ties to the planet. Laura Tarrish is a collage illustrator and a compulsive ephemera collector currently based in Portland, Oregon. 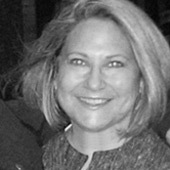 Her editorial clients have included Apple Computer, Chronicle Books, The Washington Post, and United Airlines. As the founder of Bridgetown Papers, Laura has created custom work for individuals including Isabel Allende, Tom Brokaw and Bob & Lee Woodruff. She has been a contributor to Uppercase Magazine and Felt & Wire.